‘Tis the season to plan parties. 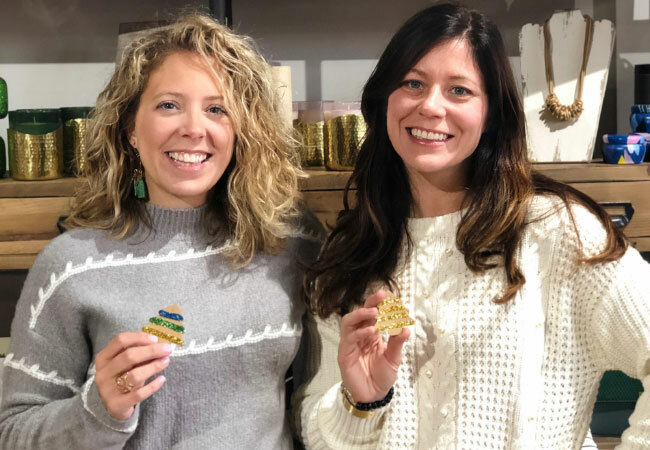 And our talented, in-house event planners Marcella Kragel and Ina Miller have found thoughtful ways to celebrate and give at the same time—doubling the joy of the season. You can make your holidays memorable, magical, and meaningful by finding creative ways to weave giving back into your already busy holiday season. The spirit of giving is something we try to foster in our work and home lives, with the hope that we will spread the spirit not only to our families, but also throughout the city of Louisville. Over the years, this thinking has become second nature and now we find there are so many ways we can contribute and make a difference during this time of year. Below, we share some of our favorite ways of combining service, giving and gifting. The sharing of your time and abilities, not only helps those in need, but creates cherished family memories, and hopefully spawns traditions beyond drinking egg nog in front of the fire. (Although it’s important to make time for that too, preferably with a little Bulleit Bourbon mixed in.) Here are some places that need your help. Re:Center Ministries (formerly known as The Louisville Rescue Mission, recenterministries.org) is seeking volunteers, as well as donations, for their annual Christmas Eve brunch. Find out more at recenterministries.org. Kentucky Refugee Ministries (kyrm.org) offers lots of opportunities for volunteers to assist in welcoming families to our community and making them feel a little more at home. Holiday Volunteer Opportunities at St. Vincent de Paul (www.svdplou.org) include staffing their Santa Shop, and gift wrapping the treasures parents in need pick out for their children. Check out Wayside Christian Mission (www.waysidechristianmission.org) and help keep the homeless warm this winter by participating in their holiday food and clothing drive. 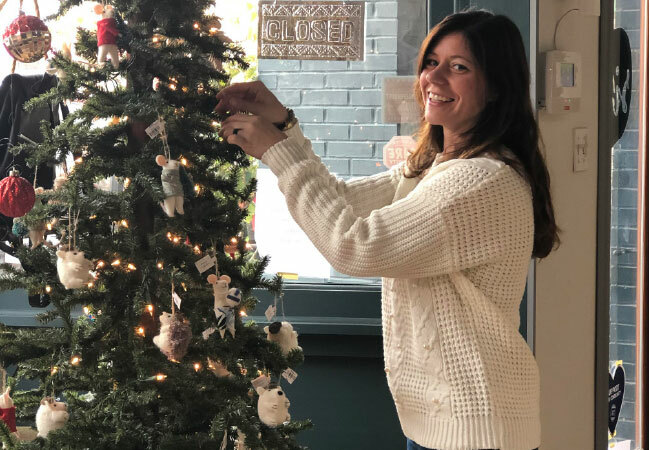 Home of the Innocents hosts a Holiday Magic Match Program that connects one child with a family to help make their holiday dreams come true. Who doesn’t want to play Santa now and again? Contact April Sage, Outreach Director, at [email protected] for more information. Don’t forget our best four-legged friends. The folks at Southern Barker Louisville (502-963-3660) are collecting new or gently used pet toys for those awaiting adoption at Louisville Metro Animal Services. Host a charitable house party. Ask your guests to bring a set of mittens, personal hygiene products, or blankets to help the homeless take care of themselves throughout the coldest months of the year, and bonus, you get to celebrate with those you love at the same time. Or encourage them to write a Holiday Cheer card for service men and women overseas and mail them yourself the next day. Check out Operation Gratitude (www.operationgratitude.com) for more details. When the party is over, don’t throw away the leftovers, donate them to Kentucky Harvest by calling (502) 894-9999 to schedule a pick-up of left-over perishable and non-perishable food. They will turn around and donate that food to one of more than 120 local shelters, missions or food pantries around our city. First and foremost, gift local and use this season as a way to support local businesses. It’s the most common way of giving during the holidays, so why not make your gifts work for you? There is no better way to shop for gifts than shopping local. It often seems to be all about the kids. Shop for the big kids at Carmichael’s Kids (1313 Bardstown Road) and for the little ones at Playthings Toy Shoppe (two locations at 4209 Shelbyville Road and 1215 Herr Lane) where imagination is king. Don’t forget the babies! Check out the stylish toy selection at Scout (720 East Market Street). When attending holiday parties don’t go empty handed. Show your appreciation for being included in your loved one’s plans with a thank you gift from Six Sisters Boutique (804 East Market Street) or Digs Home and Garden (3905 Chenoweth Square). Take it one step further and make it a local holiday from start to finish. 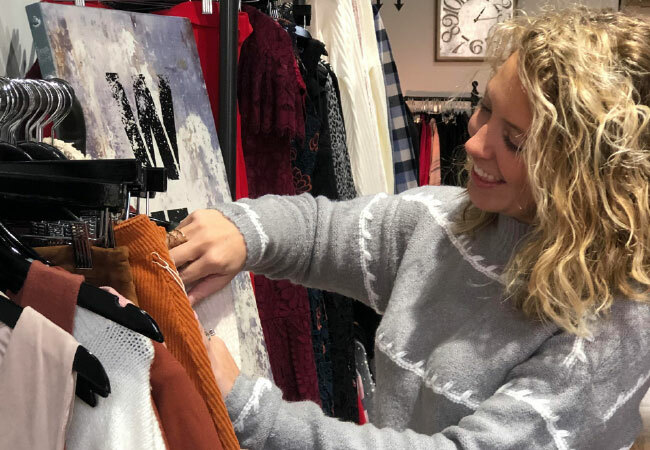 Chop down a Christmas tree at an area farm and update holiday décor with locally made crafts from one of the many local craft markets like Fleur De Flea Vintage and Handmade Holiday Market, December 8 and 9, or the Flea Off Market Holiday Bazaar held December 15 and 16. When it comes to big meals, buy a local ham or turkey from your favorite farmer’s market meat provider. Fill out the rest of your menu from a locally owned grocer like Rainbow Blossom (multiple locations, www.rainbowblossom.com) or Paul’s Fruit Market (various locations, www.paulsfruit.com). Supporting so many local businesses run by entrepreneurs in our community helps make the season just a little more magical.